MINT LED 400 LED Panel (220 Watt) - FREE Shipping! Make your room MINT condition with MINT LED! 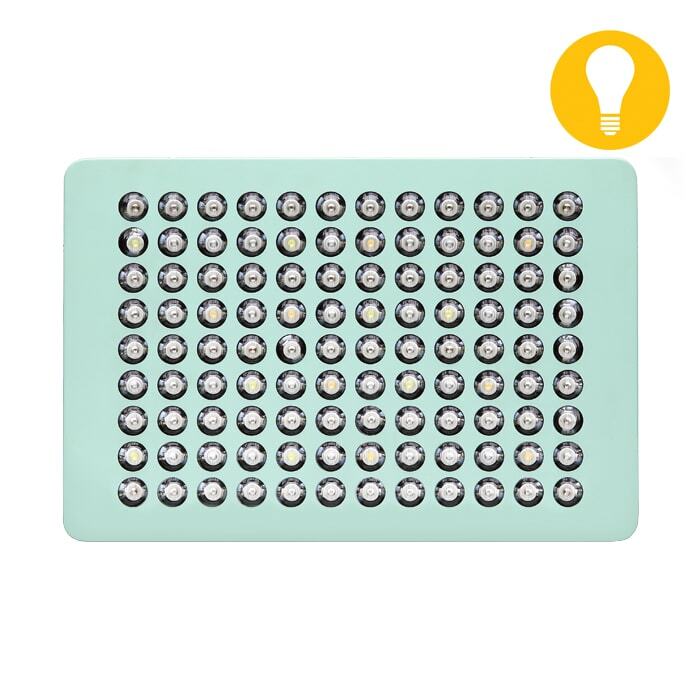 Packed full of features to keep your grow room and your light bill at its best, the MINT LED 400 features a full range of diodes creating a true full spectrum that your plants will love! The easy to use remote, as well as controls from the fixture, give you true control of what your plants need! Built with 3 customizable channels for blooming, vegetative, and full spectrum supplemental lighting. Mimick real seasonal lighting changes with the MINT LED 400! Perfectly spaced diodes achieve the best foot print possible and UV and IR provided from the fixture create a well-rounded resinous plant! The MINT LED fixture is cool to the touch and only draws 220 watts allowing you to replace any existing 400 watt fixture all while saving you money! As LED's pave the way of the gardening future be sure to leave your grow room in MINT condition!